Everead: The Princess in Black!!! Once upon a time there was a beautiful princess, pretty in pink. But then the monster alarm rang, and she transformed into . . . The Princess in Black! I absolutely adore this series. If you're a long-time reader of Everead, you've heard me mention it before: when I heard it announced and when I first laid eyes on it. The Princess in Black books are "first-chapter books" or "early chapter books" or whatever you want to call a book that has 14 or 15 chapters, each about 5 pages long. They're easier than Magic Tree House books, and more completely illustrated. When The Princess in Black came out I bought it right away. I may have even pre-ordered it. 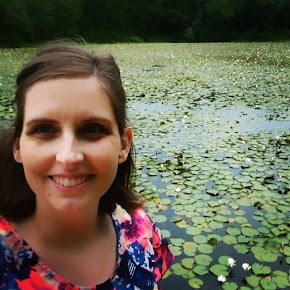 I love Shannon Hale, and I know that Shannon and her husband Dean do good work together from their foray into graphic novels: Rapunzel's Revenge and Calamity Jack. Plus, LeUyen Pham came to my attention for her awesome illustrations in the Alvin Ho series (another early chapter book series I love) and won my heart forever with The Boy Who Loved Math. With my favorite author and my favorite illustrator teaming up, chances were good I was going to love the book they made. As it turns out, I really liked The Princess in Black, but I got sidetracked and never wrote a review of it. And book two is even better! 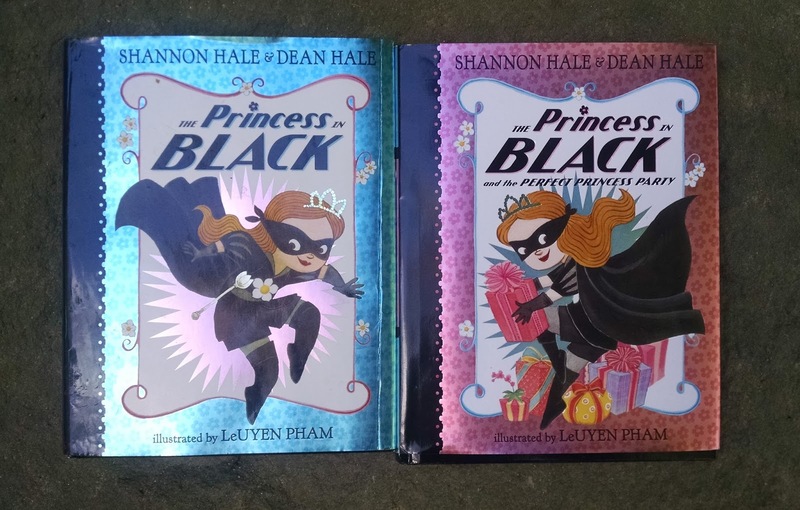 The Princess in Black and the Perfect Princess Party is more structured, and I think it would be easier to read. The first time I read book one, I was confused by one of the sentence fragments and surprised by the back-and-forth of two narratives happening during the same time (Duchess Wigtower in the castle and The Princess in Black in the pasture). Obviously that didn't ruin the book for me, I still loved it. 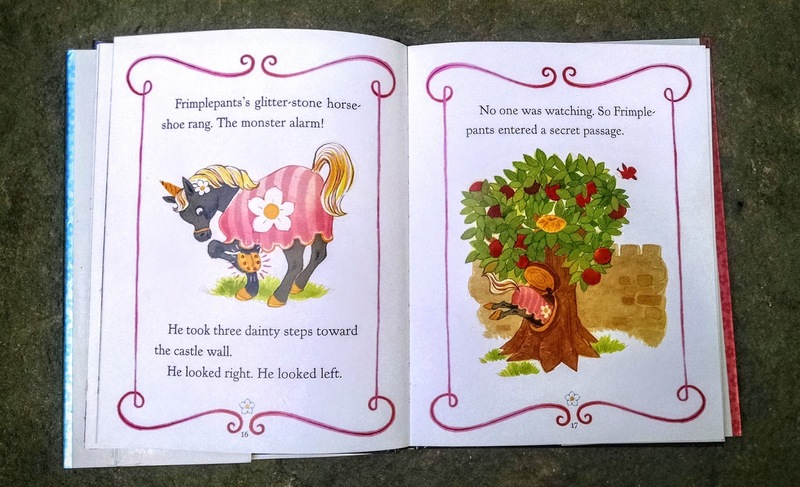 But I think that book two keeps things together better, with the repetition of Princess Magnolia having to leave her own birthday party over and over to go fight monsters. Not only are the stories so much fun, but they're sprinkled throughout with little details that make you smile. At least, they make us smile. Jacob loved that Princess Magnolia's unicorn was named Frimplepants. I love the cardinal, who looks like he's wearing a black mask of his own. Benjamin (age 7) loves the phrase "Twinkle twinkle little . . . SMASH!" and was worried for a minute that it wouldn't make it into the second book. Levi (age 5) loved seeing the different ideas the monsters had for how to eat a goat: in a sandwich, in an ice cream cone, etc. Jubilee (age 2) requests the books and talks excitedly about what's happening in the pictures while I read. You might be surprised at the level of the vocabulary in these books. Though they're first chapter books, I wouldn't call them "easy readers." You know, some books will only use a certain number of words (sometimes listed in the front) in order to help children practice sight words and learn new words. That's not the case with these books. I found myself explaining what it meant that the princess "minced" across the room in book one, and spotted the word "exasperating" in book two. As we read about the party, I found myself explaining to Levi that the princesses names were flowers, and each was dressed to represent her name. Different turns of phrase, especially "That is curious," caught my attention as well. These books may be short, but I consider them complex, in a good way. For more educated opinions on the second book, you should definitely read the reviews by Jen Robinsion and Ms. Yingling. I didn't even catch the alliteration that Jen mentioned until she pointed it out. I highly recommend these books for ages 3-8 particularly, though I think they're worth reading no matter what age you are. When I received the copy of book two that I requested from the publisher, it came to light that Jacob had never actually read book one. I couldn't believe it! I handed them to him that night and stuck close by so I could here him chuckle and get his commentary. The Princess in Black and the Perfect Princess Party only disappointed me in one way: I need more of Duff the goat boy! I trust he'll be featured in book three, The Princess in Black and the Hungry Bunny Horde, which comes out in February 2016. UPDATE: My review of Book 3 is here! So, have you read these yet? Are you interested? Definitely share your thoughts with me. This is a great review, Alysa. I love how you've included your kids' reactions (your boys' reactions especially). And I think that you are spot on about this not really being an early reader, because of the advanced vocabulary. I'm looking forward to book 3 also. I read on Facebook, I believe, that there's a contract at least through book 5. So there are extra chances to see more of Duff the goat boy. Thanks, Jen. I forgot to mention in the post that Monday Levi was home sick from school, having had a fever the night before. We had a pretty chill day and when I came downstairs from putting Jubilee down for her nap, I found he had read book 1 and was in the middle of book 2. It warmed my heart. <3 I love seeing my kids enjoy the books I like! Ooh! Didn't know about Hungry Bunny Horde. Have you read Diva and Flea. So much cute I could hardly stand it!